Did you know? 96% of water provided to Palestinians in Gaza is unsafe for drinking (source: UNWRA). 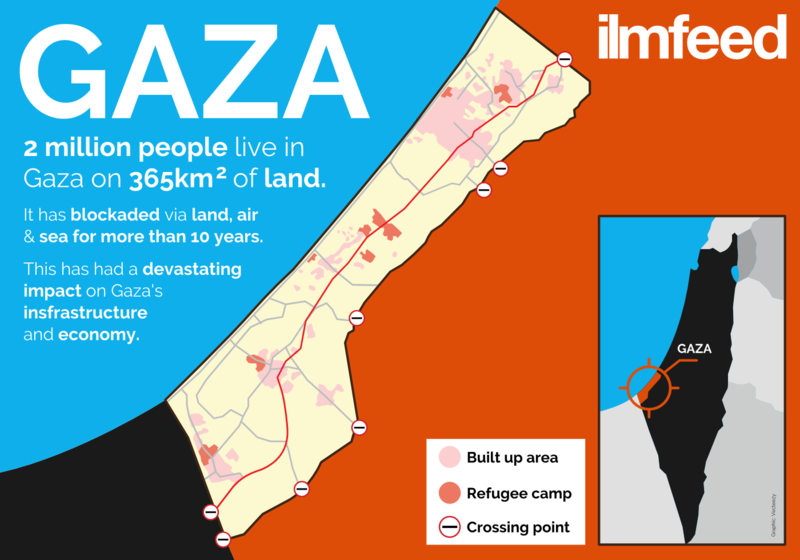 A decade-long blockade imposed by Israel has had a devastating impact on Gaza’s infrastructure. Gaza’s water supply has become contaminated and a fuel crises has meant that it’s power plant is not able to fully operate causing regular power cuts for Gaza’s 2 million residents. Sadly, polluted water has resulted in increased numbers of diarrhoea cases among children under the age of three. 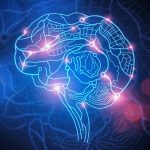 There has also been a negative effect on health, especially on children and pregnant women with risks of kidney and urinary tract diseases. 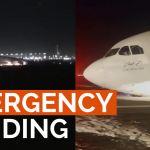 There are many international organisations who are trying to ease the water crisis by installing water purification units and whilst they work well when there is electricity, when there is a power cut, they become non-operational. To solve this issue, British charity Muslim Aid have teamed up with a Palestinian partner to come up with a unique solar-powered solution. 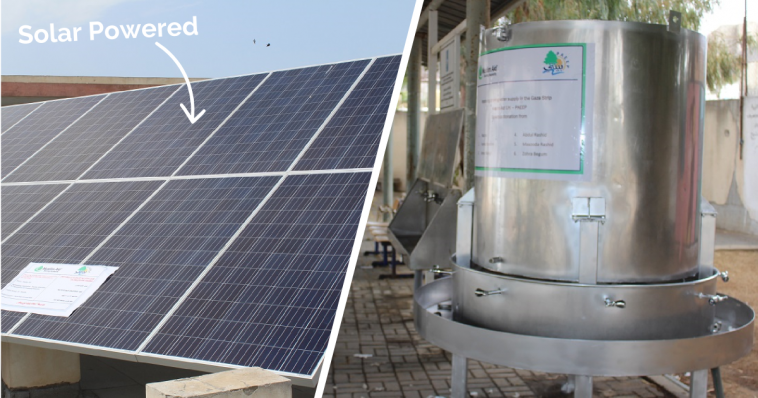 The water purification stations use a desalination process to extract harmful substances from the water. 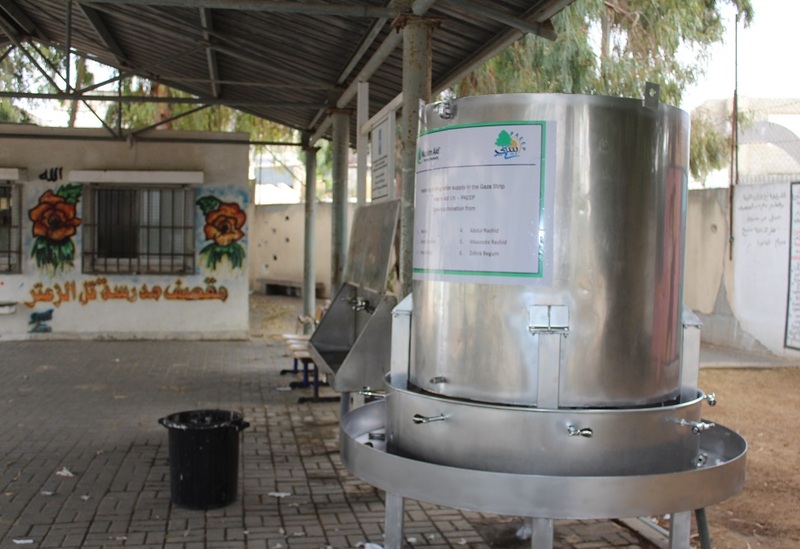 A water purification station installed at a school in Gaza. 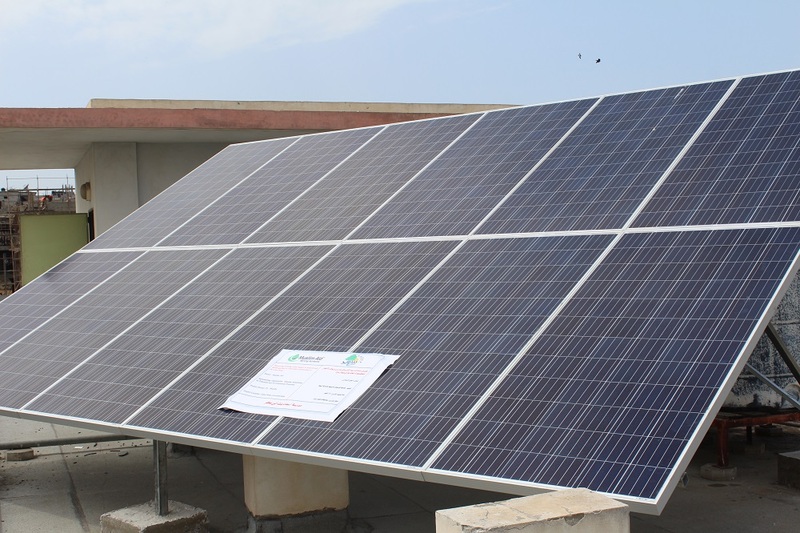 To overcome power cuts, solar panels installed on the roof harness the sun’s power to keep the purification stations operational. 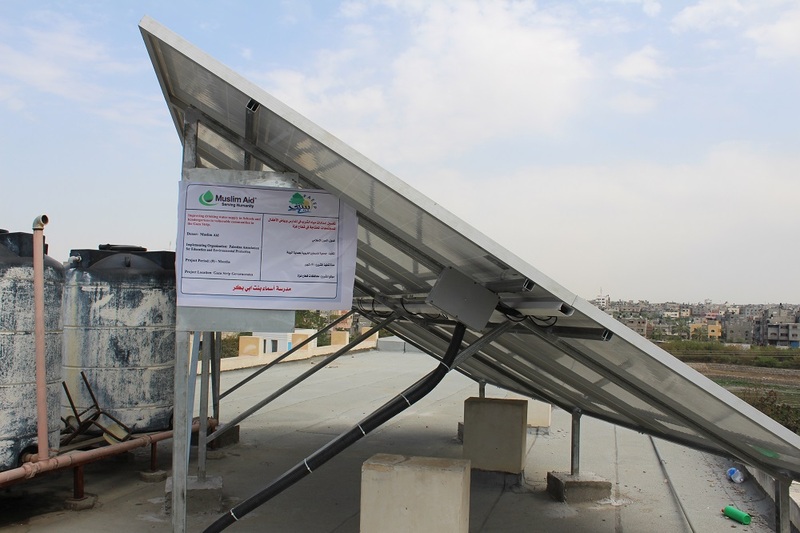 Their aim is to install 51 solar-powered water purification stations across Gaza and they have already installed a couple due to generous donations by donors. Palestinian children drink from a water purification station installed at a school in Gaza. 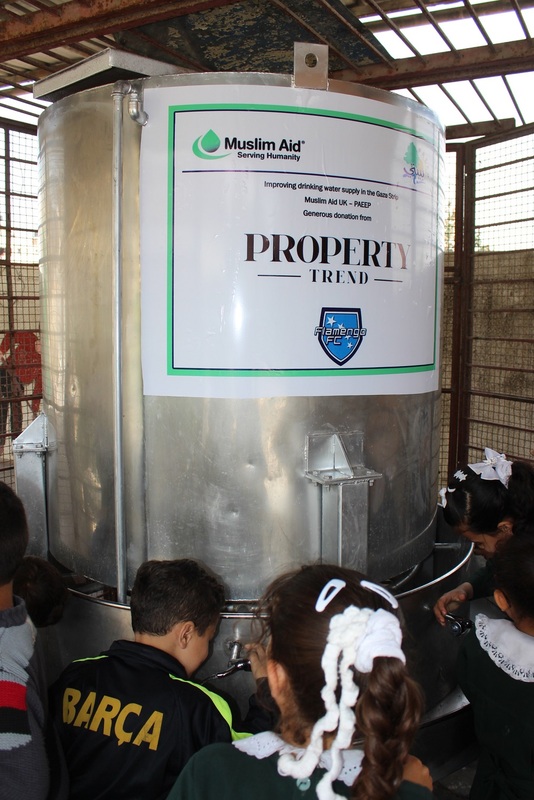 Muslim Aid are currently campaigning to raise funds for the 51 water purification stations. 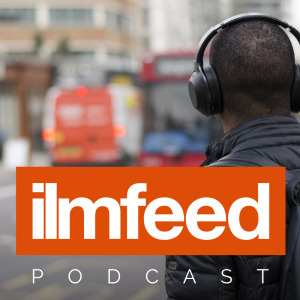 This Ramadan, the IlmFeed team has decided to raise funds to pay for 5 water purification stations. We have set up a crowdfunding page and we are urging all our readers and followers to donate whatever they can. 5 stations will purify around 25,000 litres of clean water per day. This will provide safe drinking water for up to 3,750 people per day. This Ramadan, you may be donating to many worthy causes around the world. Try to make providing water one of the causes you donate to as it’s been described as the best charity. Together, let’s make a big difference to the lives of our brothers and sisters in Gaza. Please share this with your family and friends and encourage them to donate too.